Mikaela offers two kinds of healing techniques: Raindrop treatment that is done with essential oils and Reiki healing, transmission of universal energy. 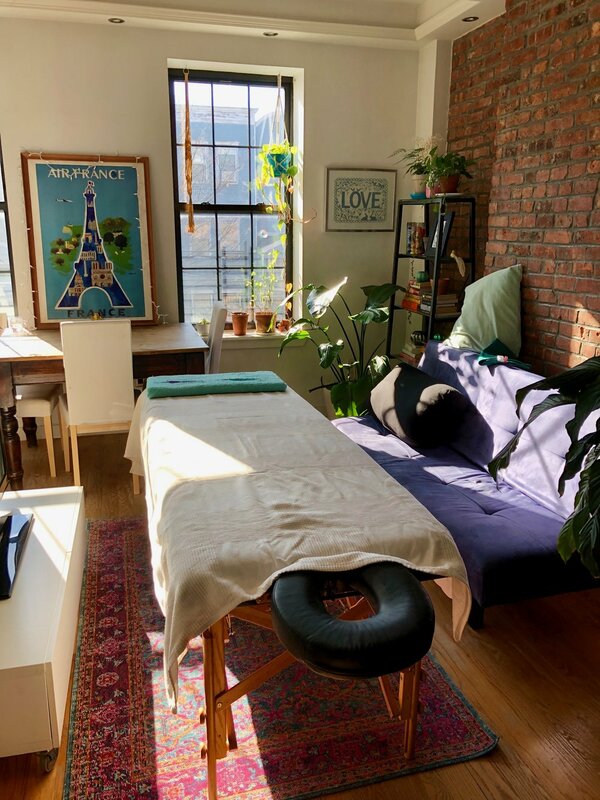 These treatments are primarily done at Mikaela’s home space in Stuyvesant Heights in Brooklyn, but you can also request a location that suits you better. Raindrop technique utilizes the healing power of essential oils: specifically 9 different oils that can help the body to align and may help with muscle aches, joint pain, circulation, lymph drain and detox process. Raindrop technique is relaxing and people feel easeful, renewed and relaxed after the treatment. Some people measure taller after the technique, as the spine begins to find its natural length again! Reiki is universal energy that flows everywhere - it is the energy that “makes the grass grow and the wind blow”. Reiki healer is attuned to this energy flow and can channel the energy through their hands. It is a non-invasive healing method that can help alleviate physical and emotional tension. Reiki is deeply relaxing and can be done anytime, anywhere and as often as needed. The energy will always work for the highest good of the person being treated. Mikaela has used reiki for self healing and has benefitted from energy work tremendously. The combination of yoga and reiki has helped her to connect to the subtler energies within. Mikaela is happy to offer this healing modality to anyone who is looking for relaxation, to ease tension or just simply wants to take a moment for self care.